The holiday season is a wonderful time at The Beverly Hills Hotel, as we pull out all the stops to make it a year to remember. Join us to celebrate at the ‘Pink Palace’ as we host festive dining experiences in our stunning tropical oasis. We invite you to join us for an unforgettable festive break in sunny LA, where we’ll treat you to a daily breakfast credit and credit to spend at our sister hotel, Hotel Bel-Air. 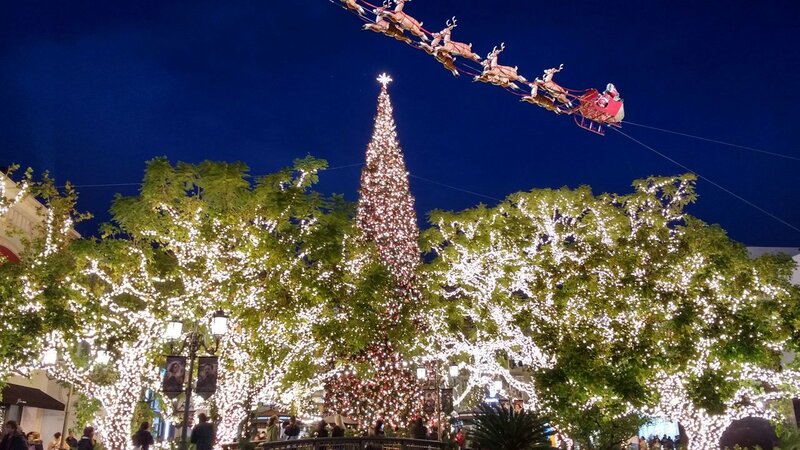 Beverly Hills is an extraordinary city all year round, but during the holiday season it’s abound with festive cheer. Discover the best art exhibitions, museums and family-friendly activities with our seasonal guide for winter. 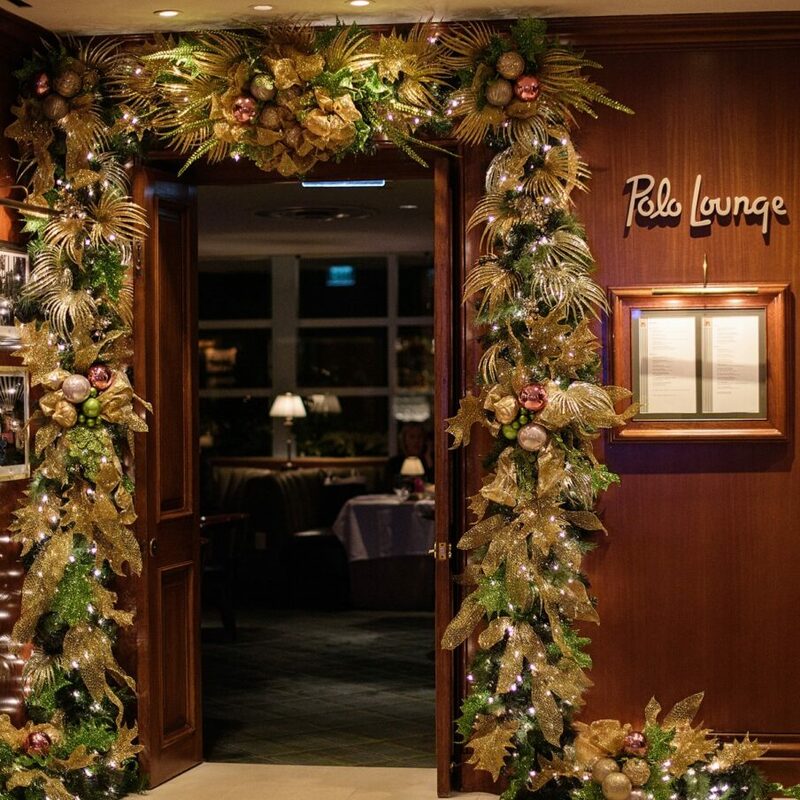 It’s been the venue of choice for countless parties, gatherings and special occasions, and now it’s your turn to celebrate at the Polo Lounge, with festive dining events throughout the season. Beginning with our legendary Christmas Day brunch and ending with a spectacular New Year’s Eve dinner, it truly is the place to be this festive season. To get in the spirit of the season, our merry mixologist has created a holiday menu at Bar Nineteen12, featuring traditional classics and inventive new cocktails. The mulled wine is spiced and the eggnog spiked, ready for a wonderful celebration all season long. This year we are welcoming musical guests DJ W & Rock,Soul artist Jonah Smith 9PM-1:30AM. Table reservations require a $100 F&B minimum per person with Champagne toast at midnight and party favors. Executive pastry chef Brooke Martin and her team will feature a grand holiday-inspired gingerbread display in the lobby. 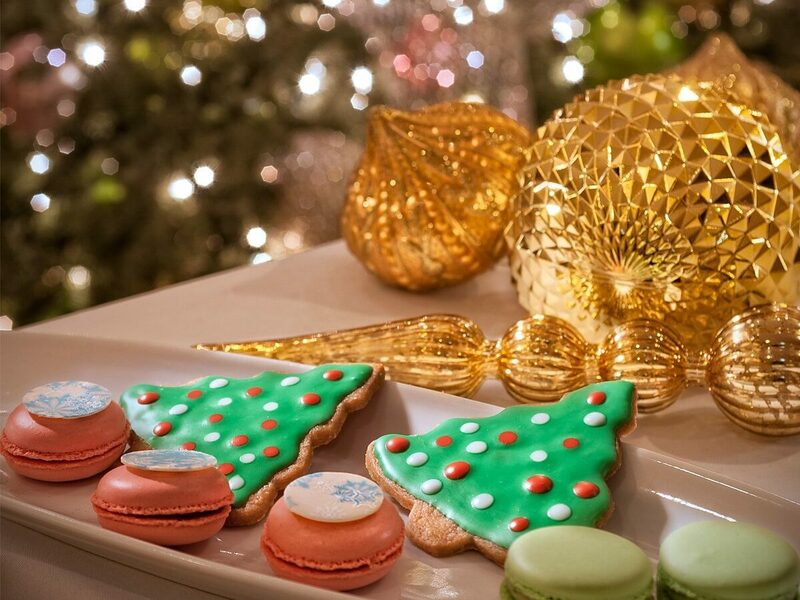 To get your little ones into the holiday spirit, executive pastry chef Brooke Martin is hosting a fun cookie-decorating masterclass in the Sunset Foyer, where your budding bakers can learn how to embellish 24 delicious cookies to take home. We’re delighted to unveil our pop-up gift shop at Bar Nineteen12, where you can browse our signature gifts and enjoy holiday-inspired drinks and desserts. 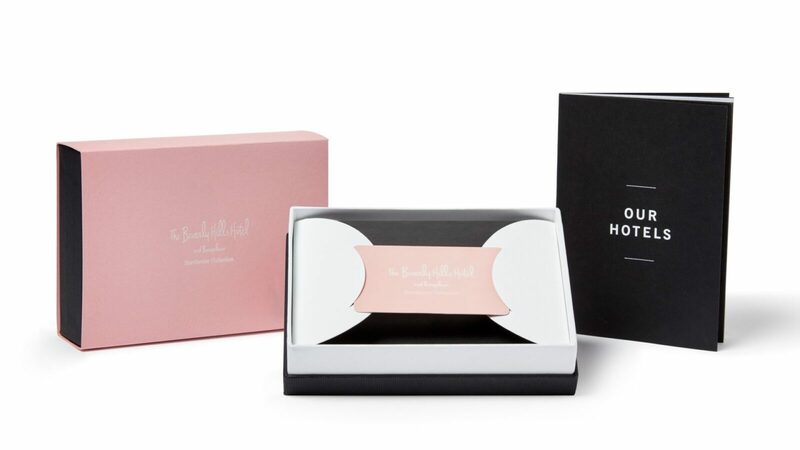 You’ll find gifts and accessories in our colourful palm print and stripes, all beautifully wrapped by our team for a lovely memento of the ‘Pink Palace’. In the lead up to the holiday, enjoy 12 days of treats from our executive pastry team, who will be unveiling a delicious daily soufflé inspired by festive flavours, such as pumpkin spice, eggnog and candy cane. Be sure to keep an eye out for that beloved red suit and merry band of carollers, as Santa and a troop of talented carol singers visit the hotel on the days leading up to Christmas. The hotel’s merry mixologist has created a holiday menu featuring traditional classics and inventive new cocktails. The mulled wine is spiced and the eggnog spiked, and the spirited selections are offered in the Polo Lounge and Bar Nineteen12 throughout the season. The gift of a ‘Pink Palace’ experience is one they’ll never forget. Discover our gift cards for dining experiences, luxury spa treatments and unforgettable stays in our beautiful rooms and suites. 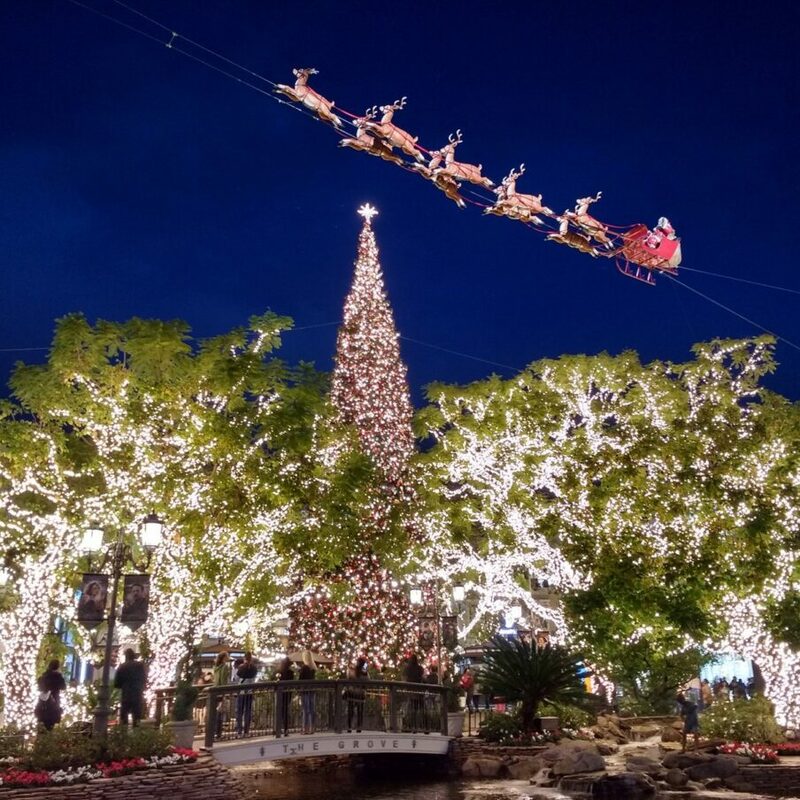 Abbas Golestani, chief concierge, is the person in the know when it comes to the best of LA’s festive fun, with tips for holiday TV screenings and of course, visits from Father Christmas.